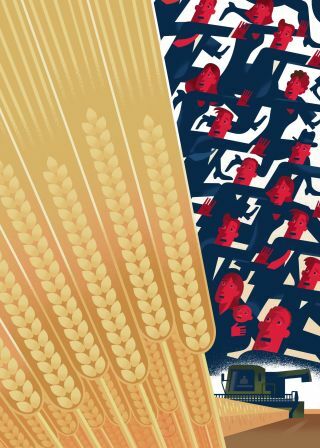 Wheat provides about twenty per cent of the world’s calories and more nourishment than any other source of food over the course of human civilization, yet more and more people in in the last few years are coming out as gluten sensitive and moving towards gluten-free alternatives. The question is, should we go gluten-free? In the meantime, start-up companies like Hampton Creek Foods are working on creating more sustainable plant-based foods such as egg-free mayonnaise. Decadent, diseased, silky, sinful. The adjectives that follow foie gras range from the disgusting to the luxurious. The fattened liver of a duck or goose polarizes people, and there seems to be no middle ground wherein a person can both enjoy foie gras and ethically question it. Because it is such a controversial food, the discourse surrounding it is often steeped in emotion, but the best way to make an informed, fact-based decision is through science. Here we will examine physiology, pathology, and a bit of genetics regarding waterfowl and foie gras in an attempt to promote overall awareness of what we eat (or don’t eat). 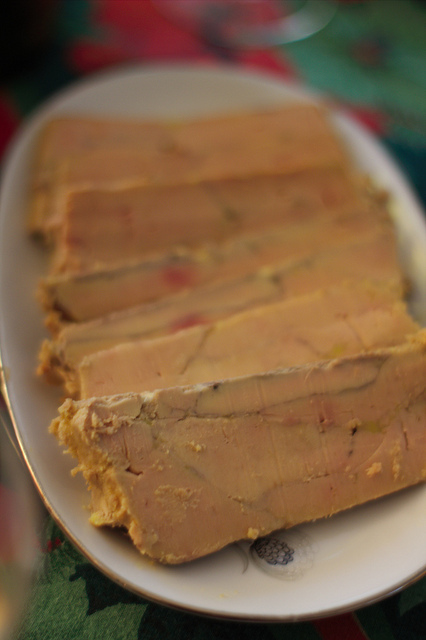 Foie gras is French for fatty liver, and that is exactly what it is. The liver of a bird, usually a duck or sometimes a goose, that has been force-fed to the point of having a fat, enlarged liver. The liver must weigh more than 300g for ducks, and 400g for geese to legally bear the name foie gras in France. Force-feeding is typically done through a practice called gavage, wherein a long tube is inserted into the bird’s mouth and throat up to three times a day for 3-10 days. French rural code L654-27-1 states that “Foie gras belongs to the protected cultural and gastronomical heritage of France.” Currently, the farming of animals to produce foie gras is banned in 22 EU nations, but not its sale or import. In California, the sale of foie gras was banned in 2004, the ban was lifted in early 2015 by a federal court, and the lifting of that ban is currently being appealed. Needless to say, it’s a very complicated issue. Another important difference in human and duck anatomy is the trachea. In humans, food and air start along the same path in the mouth, then the trachea (or windpipe) branches off at the back of the throat where the epiglottis prevents food from entering the trachea and channels swallowed food along its proper route, the esophagus. Try to force something past the epiglottis, and you trigger the unpleasant pharyngeal reflex, or gag reflex. Certainly a gavage would trigger this in a human, which is one reason why images of force fed birds make us so uncomfortable. Foie producers say if the procedure is carried under proper conditions, the gavage does not block the upper respiratory tract as the birds’ tracheas and esophaguses are completely separate,  and thus they do not gag or feel discomfort as a human would. However, foie gras critics rebuke that this is a ridiculous excuse, and that the birds are clearly harmed by the gavage. Certain metabolic adaptations in migratory birds and fish cause a natural hepatic steatosis, and proponents of foie gras use this observation to argue that the condition is not pathological in those species. These animals must compile large energy stores for their migrations, and they do so by ingesting carbohydrates and storing the energy as fat, a process called lipogenesis. 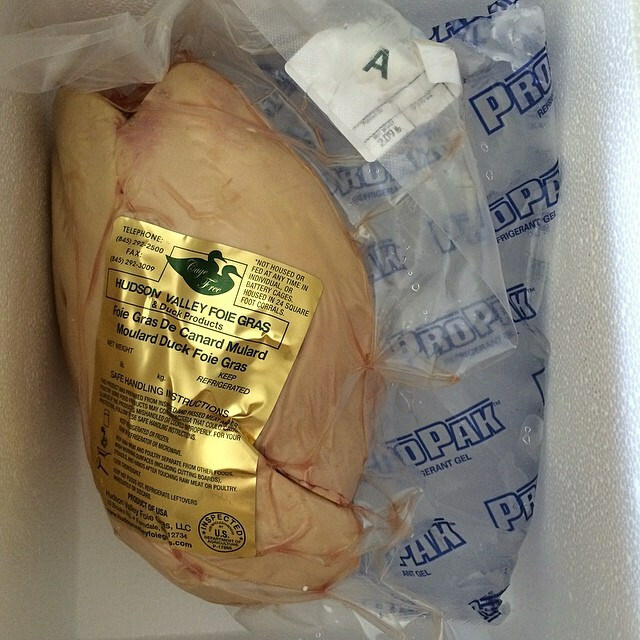 Foie producers posit that they are simply exploiting the incredible lipogenetic abilities of the fowl liver. The human liver does no more than 30% of our entire bodies’ lipogenesis, as our adipose tissue carries most of the workload. By contrast, the avian liver performs the vast majority of their lipogenesis, up to 96% of it in some species. To further their argument that their birds are not diseased, foie farmers assert that it is in their best interest to avoid producing diseased livers, as they are of no commercial value. 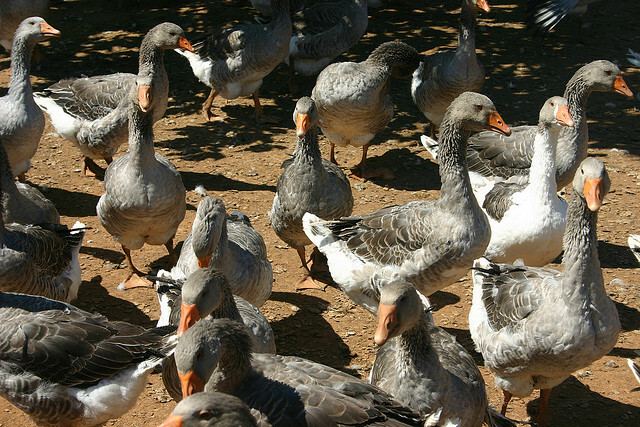 In addition to the anatomical and physiological aspects of waterfowl that may make the production of foie gras seem less cruel, a look into the breed may provide further insight. Foie gras is made from the liver of the Moulard duck, which is the product of a female Pekin artificially inseminated with the sperm of a male Muscovy duck. The Moulard, or “mule duck” genotype is not present in the wild, and like other hybrid species, it is sterile. Therefore, the animals themselves cannot breed more baby Moulards. Muscovies are non-migratory,  so unlike migratory species, in natural settings they do not gorge themselves to put on extra fat to carry them through long periods of physical exertion with no breaks to replenish energy. It might seem like they would be a poor choice for duck farming, but they are prized for their well-flavored, lean meat. Pekin ducks on the other hand have many of the characteristics of migratory species. They are naturally gregarious and clump themselves together whether or not they have space to roam. Years of breeding have made them very plump and small-winged, and thus they no longer migrate. However, their inner organs and basic metabolism still maintain characteristics of migratory waterfowl. The moulard thus exhibits the more desirable behavioral features of the two species. Like muscovies, they have no migratory instincts, so they are easy to farm-raise. But they retain all of the anatomy and metabolism of Pekins that naturally make them want to gorge and store energy as fat. In this physiological context, gavage and foie gras might not be as tortuous as some imagine it to be. Even with this information, some people may still feel uncomfortable with the idea of force-feeding, and that is perfectly reasonable. If we want to eat foie gras entirely guilt-free, perhaps we should support the production of “humane” foie gras, where the animal is left to gorge on its own as if it were preparing for migration. Examining foie gras through a scientific lens teaches us to evaluate the animal body for its natural capabilities, but science does not always give us clear answers as to what is morally right. Regarding foie gras, the jury is literally still out. Guémené, Daniel, Gérard Guy, Jérôme Noirault, Nicolas Destombes, and Jean-Michel Faure. 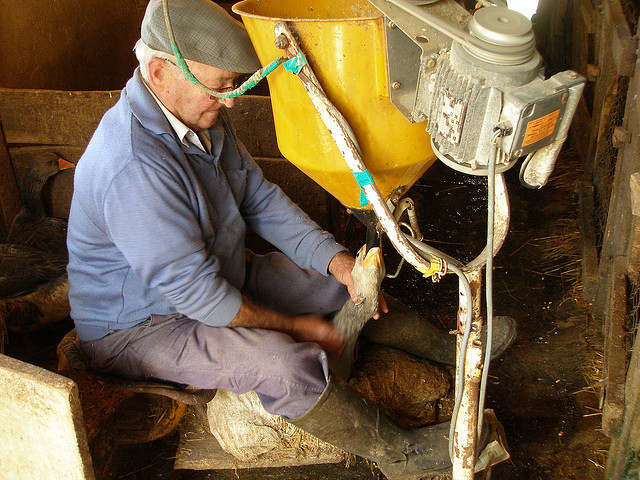 “Rearing Conditions during the Force-feeding Period in Male Mule Ducks and Their Impact upon Stress and Welfare.” Animal Research 55.5 (2006): 443-58. Web. McClurg, Lesley. 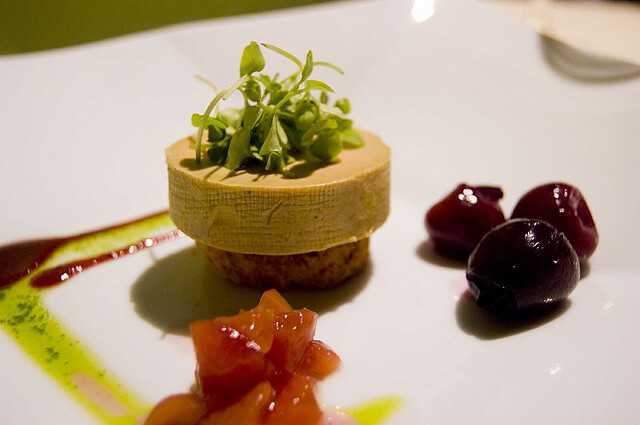 “The Legal Battle Over Foie Gras Continues.” – Capradio.org. Capital Public Radio, 9 Feb. 2015. Web. 19 Feb. 2015. Guémené, Daniel, Gérard Guy, Jacques Servière, and Jean-Michel Faure. “Force Feeding: An Examination of Available Scientific Evidence.” Artisan Farmers Alliance (n.d.): n. pag. Artisanfarmers.org. Web. Kuo, Braden, and Daniela Urma. “Esophagus – Anatomy and Development.” GI Motility Online (2006): n. pag. Web. Jaeschke, Hartmut, Jaspreet S. Gujral, and Mary Lynn Bajt. “Apoptosis and Necrosis in Liver Disease.” Liver International 24.2 (2004): 85-89. Web. Pilo, B., and J.c. George. “Diurnal and Seasonal Variation in Liver Glycogen and Fat in Relation to Metabolic Status of Liver and M. Pectoralis in the Migratory Starling, Sturnus Roseus, Wintering in India.” Comparative Biochemistry and Physiology Part A: Physiology 74.3 (1983): 601-04. Web. Timlin, Maureen T., and Elizabeth J. Parks. “Temporal Patterns of De Novo Lipogenesis in the Postprandial State in Healthy Men.” The American Journal of Clinical Nutrition 18.1 (2005): 35-42. Web. Desmeth, M., M. Messeyne, G. Schuermans, J. Vandeputte-Poma, and F. Vandergeynst. “Effect of Age and Diet on the Fatty Acid Composition of TriglycÃ©ridesand Phospholipids from Liver, Adipose Tissue and Crop of the Pigeon.” The Journal of Nutrition 111 (1980): n. pag. Web. Lopez, Kenji. “The Physiology of Foie: Why Foie Gras Is Not Unethical.” Serious Eats. N.p., 16 Dec. 2007. Web. 18 Feb. 2015. Gone are the days where all that was needed to make a cup of brewed coffee was an auto-drip machine and a paper filter. Coffee shops now have glass siphons lining the counter, looking as if they came straight from a chemistry lab. Baristas can be seen meticulously pouring water from a swan necked kettle into a ceramic funnel, which slowly drips coffee into a cup sitting on a scale. There is even a ready-to-serve cold brew option that was prepared the night before. These days, coffee shops seem to be stocked with new tools for brewing the delicious caffeinated beverage. With the resulting brews varying in flavor, why stick to just one method? Each apparatus has a different extraction process and requirements for grind coarseness, heat, and time. 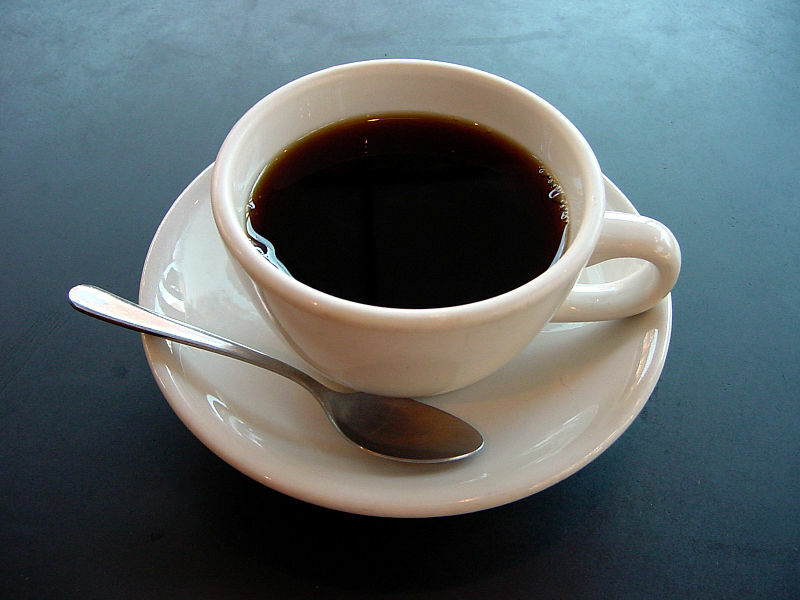 For all brewing methods, coffee must first be ground; then its soluble components must be dissolved in water, so they are released into the resulting brew. It is suggested to grind coffee right before brewing, since the process releases flavor as well as results in a higher perceptions of aromas; these aromas consist of highly volatile compounds which can evaporate into the air over time . The grind level and particle size also play important roles in the taste of the final cup of coffee. If the grind is too fine, bitter coffee can result from over-extraction of chlorogenic acids; if the grind is too coarse, a weaker brew may result from the decreased surface area . Coffee brewing is generally classified under three types: decoction, infusion or steeping, and pressure methods. In decoction, ground coffee is in contact with high temperature water for a period of time, causing a more intense extraction . Siphon, or vacuum brewed coffee, is an example of this method. Since many variables can be controlled, the coffee can be evenly extracted over a period of 45 seconds to 1 minute . A siphon consists of two glass chambers arranged vertically. Near boiling water is added to the bottom chamber with a heat source underneath. When the water is heated past its boiling point (212 °F or 100 °C), the heat source transfers energy to the water and produces vapor, or steam. Eventually, the pressure created from the gas exceeds that of the atmospheric pressure in the siphon. In order to create more room for itself in the bottom chamber, the gas forces the remaining liquid into the upper chamber. The coffee grounds are added at this point and stirred. The heat source maintains a constant pressure, keeping the brew in the upper chamber. Once the brew is complete, the heat source is removed and the water vapor condenses back into liquid form. Since liquid takes up less volume than gas in the bottom chamber, a negative pressure void is created that is then equalized by the brew flowing down . An infusion involves steeping coffee in water before filtration, and creates a milder brew with more acidity . 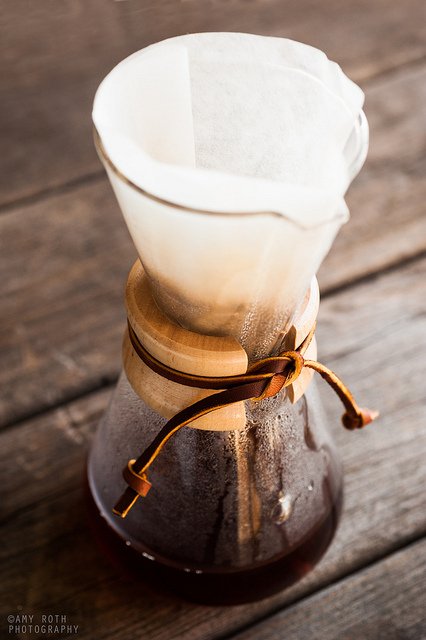 An example is the Chemex, which is a funnel shaped apparatus with a pour over filter cone attached to a decanter. This is similar to a typical auto-drip coffeemaker where the coffee is steeped and dripped through a paper filter. However, the Chemex has some advantages, including control over water temperature, infusion time, and pouring technique. The filter used is also thicker, so the grounds are able to steep in the water and drip out more slowly. More flavor compounds are released, resulting in a clean tasting brew with “bright” and “high” notes . To prepare coffee with the Chemex, a medium to medium-coarse grind is placed on top of a pre-rinsed filter. Hot water is poured from a swan neck kettle (the narrow spout maximizes pour control) in a circular motion. As the first pour touches the coffee grounds, it degasses and carbon dioxide (CO2) is released, resulting in bubbles and puffed up grounds. This is called a “bloom,” and this process influences the flavor and aromas of the brew, including increased acidity if the bloom time proceeds for too long . The reasoning behind this is that when CO2 reacts with water, it produces carbonic acid. Interestingly, lighter roasted coffee beans retain more CO2 than darker roasts . Once the gas is released, the water starts to dissolve the solubles in the coffee grind, which are responsible for many of the flavor components. As the brew starts to drip into the decanter, additional water is poured in the same circular motion to make sure that the grounds are constantly replenished with fresh water . The grounds must always be immersed to maintain a constant temperature for the brew and to keep the chemical reactions going. This method also creates a strong osmotic pressure to extract the coffee concentrate from the grounds: since there are more coffee solutes in the grind and less in the watery environment, the solutes will want to escape through the semi-permeable cell membranes of the coffee beans. However, since water is continuously poured over the surface of the grounds, there is a possibility of over extraction from the top layer . Unlike decoction and infusion, this method involves water being forced through grounds with high pressure and heat, similar to the style of espresso . 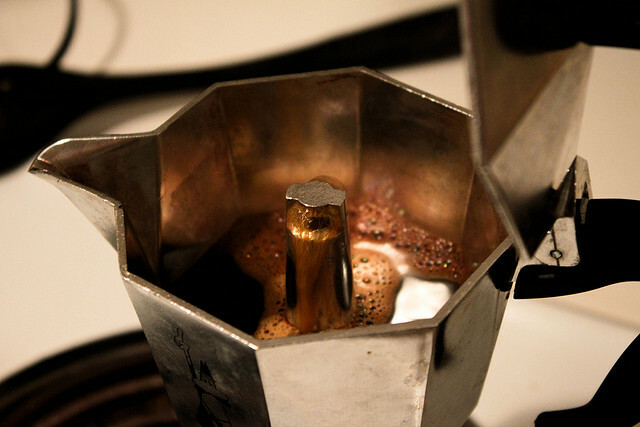 The Moka pot consists of a bottom chamber with water, a metal filter filled with ground coffee, and a screw-on upper chamber. Similar to the siphon, a heat source causes the water in the bottom chamber to form steam. However, instead of mixing the water with coffee for steeping, the water vapor pushes the water through the coffee grounds and the brew emerges out of the top portion as a gurgling sound is made. The bottom chamber is not filled all the way with water to ensure an air gap for pressure to form. In fact, in case the pressure in the bottom chamber gets too high, there is a safety valve on the lower chamber that lets the air out to keep the apparatus from exploding. With all of these different options, brewing coffee is now more of an art form than just a way to obtain caffeine. Whether you use a Moka pot at home or have a barista prepare a cup using a pour over method, you can be sure that each resulting brew will be far from tasting the same. Akiyama, M., Murakami, K., Ohtani, N., Iwatsuki, K., Sotoyama, K., Wada, A., et al. Analysis of Volatile Compounds Released During the Grinding of Roasted Coffee Beans Using Solid-Phase Microextraction. Journal of Agricultural and Food Chemistry. July 2013; 51: 1961–1969. Sunarharum W, Williams D, Smyth H. Complexity of coffee flavor: A compositional and sensory perspective. Food Research International. March 2014; 62: 315-325. 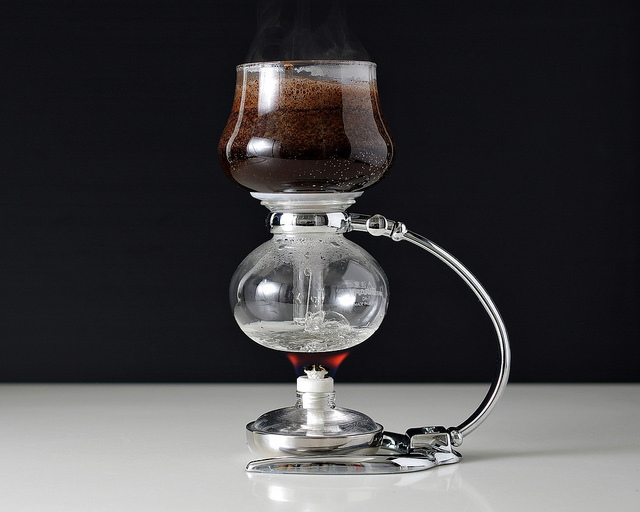 How to Brew Coffee in a Siphon or Vacuum Brewer. Seriouseats. Vacuum Pots: The Science Behind the Method. Casa Brasil Coffees. A Beginners Guide to Pour Over Coffee Brewing. Prima Coffee. What is the Bloom and Why Should You Care? The Roasters Pack. Coffee Science: How to Make the Best Pourover Coffee at Home. Seriouseats. 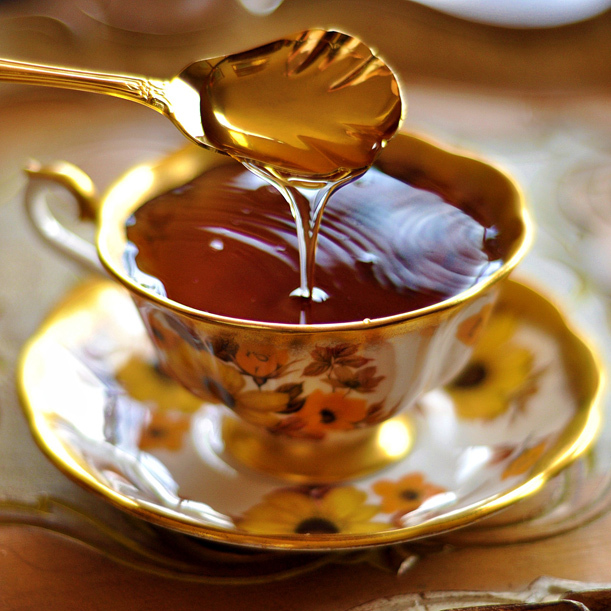 How does sipping a cup of lavender tea with honey sound? Soothing? Fragrant? Then imagine stumbling upon an open field of lavender flowers. The lavender plant, genus Lavandula, comprises 39 flowering plant species, all of which are easily recognized by that trademark color and signature fragrance. The most popular species of lavender is L. angustifolia, commonly known as English lavender and lauded for having the sweetest fragrance among lavender plants. Lavender flowers are primarily grown in order to extract the essential oil for both medical and culinary uses. The distinctive purple flower is popular for its calming abilities, extensively used in aromatherapy alongside other herbs. Lavender is additionally famed for its healing properties. French chemist, René-Maurice Gattefossé realized the usefulness of lavender oil as a healing essence when he plunged his burned arm into a tub of liquid containing lavender oil, later noting quick tissue regeneration with little scarring [1,2]. Following Gattefossé’s observation and subsequent experiments using lavender oil in military hospitals during World War I, lavender is also used today as an antiseptic and anti-inflammatory . As an herb, lavender of course has a dedicated fan base in the culinary world; the fragrant flower is the star of recipes such as lavender cake, lavender shortbread, and even lavender and honey roasted chicken. Analysis of lavender oil reveals the primary compounds responsible for the scent are linalyl acetate and linalool (pronounced lin-ah-low-awl). Both have been cited to contain various pharmacological properties that aid in relaxation, such as anti-anxiety, anti-depressant,  and relaxant of vascular smooth muscles . Minor volatile components that contribute to the scent of lavender essential oil include (E)-β-ocimene, (Z)-β-ocimene, terpinen-4-ol, 1,8-cineole, camphor, and limonene. But make no mistake. There’s nothing “minor” about these compounds when it comes to lavender flavor. According to the flavor network by physicist Albert-László Barabási, North American and Western European cuisines like to pair ingredients that share many flavor compounds. Camphor confers a woody, evergreen scent and is one of the primary volatile compounds in dried rosemary leaves; this makes lavender and rosemary a comforting combination. Further, linalyl acetate, linalool, and many of the minor volatile components of lavender oil can also be found in lemon peels and lemon essential oil . Lavender and lemon are such celebrated culinary companions that the two are practically best friends. Want to try cooking with lavender for the first time? Relax; it’s not as challenging as it seems. 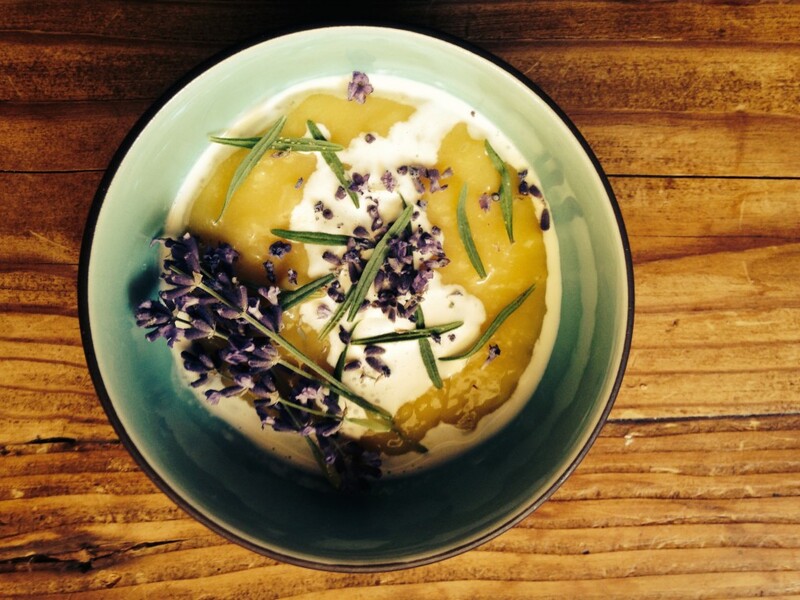 Just take a deep breath and try out this simple lavender sugar recipe. Tankeu SY, Vermaak I, Kamatou GPP, Viljoen AM. Vibrational spectroscopy and chemometric modeling: An economical and robust quality control method for lavender oil. Industrial Crops and Products, 2014; 59: 234-240. René-Maurice Gattefossé. Oils and Plants. Accessed 2014, December 21. Koto R, Imamura M, Watanabe C, Obayashi S, Shiraishi M, Sasaki Y, Azuma H. Linalyl acetate as a major ingredient of lavender essential oil relaxes the rabbit vascular smooth muscle through dephosphorylation of myosin light chain. Journal of Cardiovascular Pharmacology, 2006; 48(1): 850-856. Oboh G, Olasehinde TA, Ademosun AO. Essential oil from lemon peels inhibit key enzymes linked to neurodegenerative conditions and pro-oxidant induced lipid peroxidation. Journal of Oleo Science, 2014; 63(4): 373-381. Sea salt caramels. Hawaiian pizza. Chocolate-covered pretzels. Salt-and-chili covered mangos. Aside from being delicious snacks, what else do these delectable combinations have in common? They are all quintessential examples of the “sweet and salty” food craze that only continues to rise in popularity in the culinary world as well as the population at large. When combined, these two seemingly contradictory tastes create a unique interplay that heightens the more subtle tastes and brings new complexity to the dish. Figure 1: The five basic tastes. Sweet and salty are two of our five basic tastes (Figure 1). As we’ve previously discussed on the blog, taste is perceived as food is broken down into individual molecules that enter taste pores on the tongue. These molecules then interact with taste receptor cells, which in turn activate nerves that send an electrical signal to the brain to trigger taste perception (Figure 2). 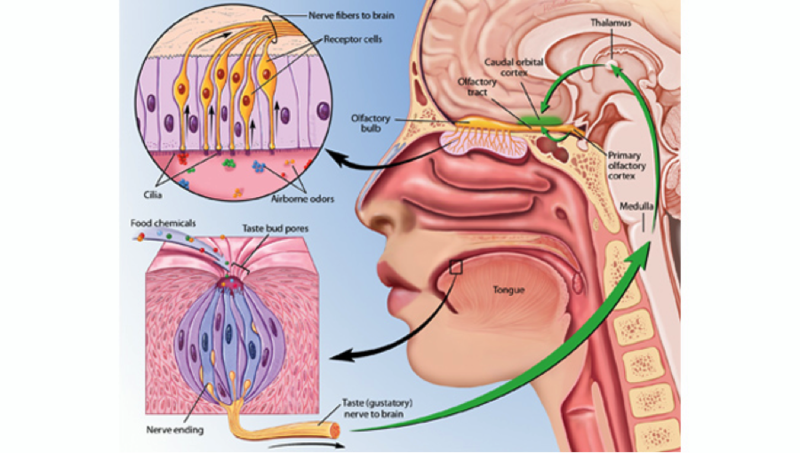 Figure 2: Taste receptor cells activate nerves that send an electrical signal to the brain. When we eat, our tongues sense five basic tastes. While this may seem fairly straightforward, it turns out that these five tastes can influence each other. By studying how different pairwise combinations of taste sensations interact, scientists have sought to explain how the five tastes relate to each other on chemical, oral, and cognitive levels . In the case of sweet and salty foods, let’s use an example of chocolate-covered pretzels. Pretzels are characterized by a slightly bitter taste that comes from the lye or baking soda solution the dough is soaked in before baking. (These highly alkaline solutions give pretzels their signature crunch and dark brown color .) When dusted with a bit of salt and covered in a layer of chocolate—presto! The pretzel transforms into a delightfully salty-yet-sweet treat without a hint of bitterness. Why does this happen? 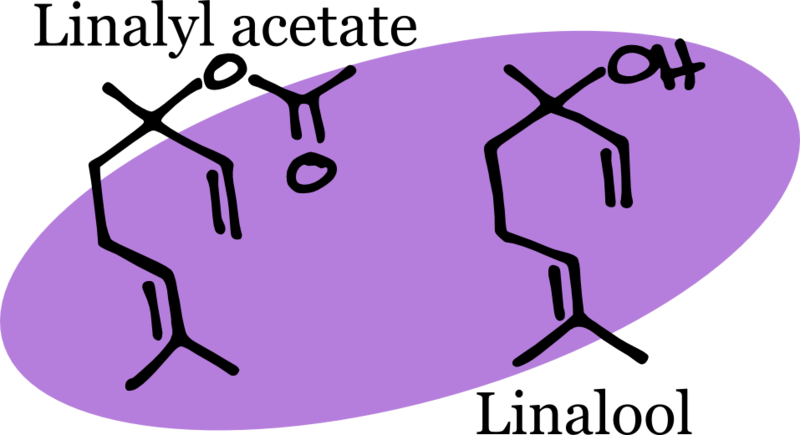 Sodium has been shown to orally suppress bitterness where it directly interferes with the perception of bitterness in taste pores, a phenomenon sometimes called ‘bitter blocking.’ Instead of directly enhancing sweetness, salt suppresses bitterness and therefore allows the more ‘favorable flavors,’ such as sweet, to shine through . Scientists have also cited that our penchant for sweet and salty has evolved from our primal nutritional instincts. Because our hunter-gatherer ancestors were consistently moving to new areas and eating different plants, those with a distinguishing palate were better able to detect the differences between sweet-tasting high-energy foods and bitter-tasting poisonous foods. Our taste buds are therefore naturally wired to taste sources of energy and possible toxins . This reasoning can be attributed to why we love sweet and salty – sweetness indicates carbohydrates, or energy, while salt is a necessary component in the body’s water balance and blood circulation. Therefore when the flavors are combined, the biological response is increased and our body detects the food as being extra tasty . And even after you taste sweet and salty molecules on your tongue, your stomach continues to sample the molecules and send signals to your brain. This ‘post-oral signal’ can also contribute to the favorable sweet-and-salty response by forming a reward circuit increases our desire for similar tasting foods . Salt’s ability to change the way we perceive taste has established it as an essential enhancer in cuisines worldwide. So the next time you reach for a sweet treat, try adding a dash of salt on top – you never know what surprises it can unearth! Gallagher, Joanne. 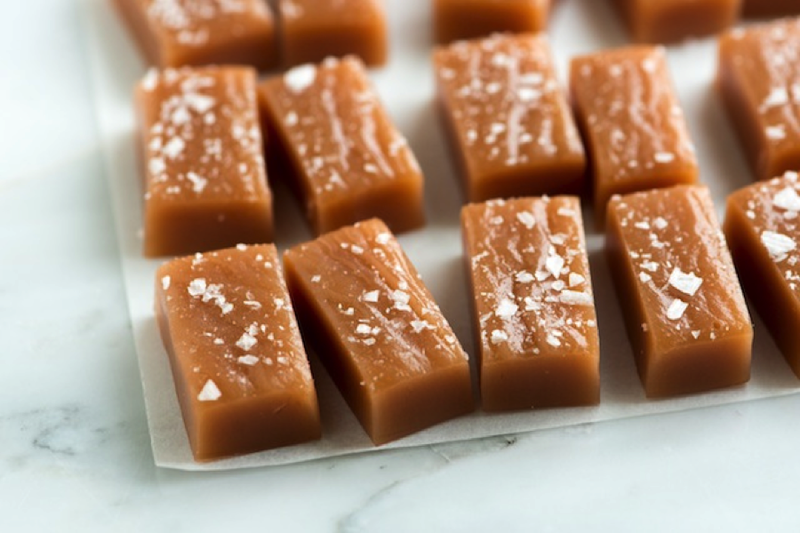 “Simple Salted Caramels Recipe.” Inspired Taste. 8 Dec. 2012. Web. 23 Nov. 2014. Chaudhari, Nirupa, and Stephen D. Roper. 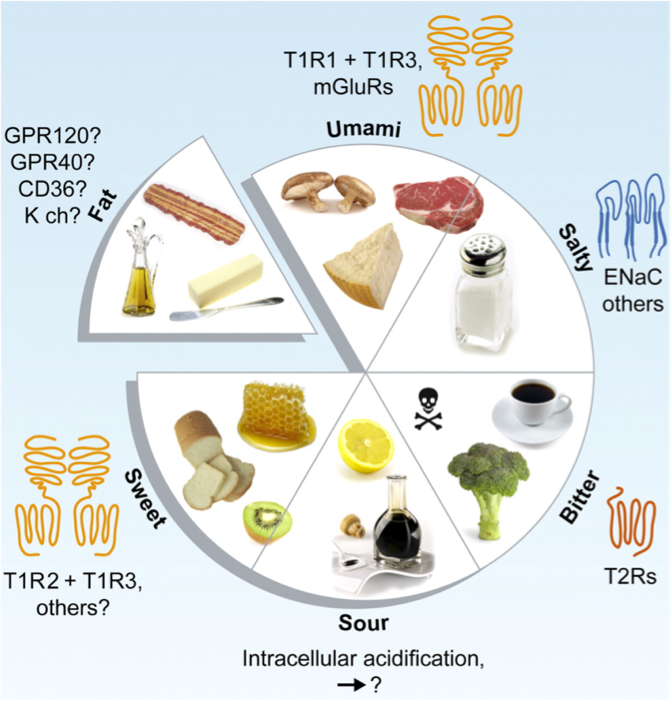 “The Cell Biology of Taste.” The Journal of Cell Biology 190.3 (2010): 285-96. Web. 23 Nov. 2014. Kibiuk, Lydia V., and Devon Stuart. “Taste and Smell.” BrainFacts.org. 1 April 2012. Web. 10 Dec. 2014. Friedrich, Paula. “For a Proper Pretzel Crust, Count on Chemistry and Memories.” NPR. 9 Aug. 2014. Web. 10 Dec. 2014. Keast, Russell, Paul A. Breslin, and Gary Beauchamp. 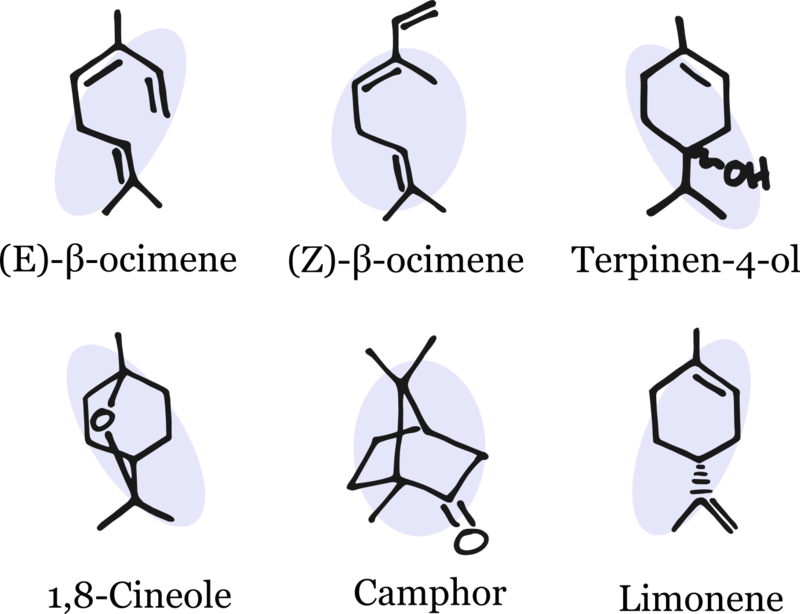 “Suppression of Bitterness using Sodium Salts.” Chimia: International Journal for Chemistry 55.5 (2001): 441-447. Web. 10 Dec. 2014. Stuckey, Barb. Taste: Surprising Stories and Science about Why Food Tastes Good. New York: Atria Books, 2013. Print. Vanderbilt, Tom. “Why You Like What You Like.” Smithsonian Magazine. June 2013. Web. 22 Nov. 2014.